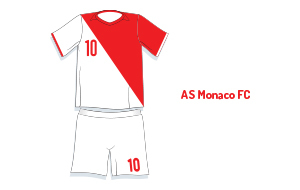 We offer you the very best AS Monaco tickets for all games in Monaco, France and Europe. Whether it's the French League or the Champions League, we can provide you with AS Monaco tickets for home and away matches. Buy tickets securely online through our secure booking system. 1st4 Football Tickets specialise in providing AS Monaco tickets, premium or hard-to-get Barclaycard Premiership tickets, Champions League tickets, World Cup Tickets, English FA Cup tickets, UEFA Cup tickets and all other football tickets in the UK, Europe and throughout the world. Buy Monaco football tickets now!